Gionee, a China based company, entered the Indian smartphone domain in 2002 via retail stores. Since then, it has been successful in building a strong presence. Keeping true to its reputation, the company has launched various phones over the years in different price segments. 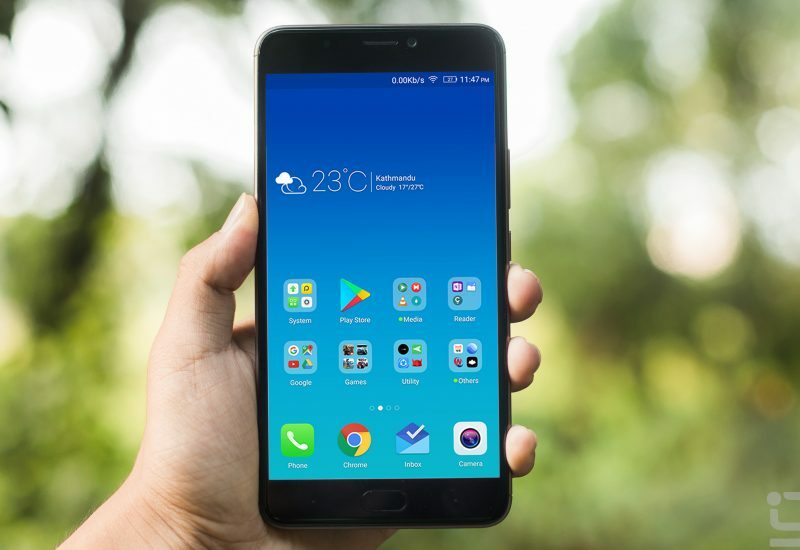 Irrespective of the price, all Gionee smartphones come with the latest hardware and advanced software, thus justifying their worth. So, whether you decide to buy a high-end Gionee phone like the Gionee A1 Plus or the Gionee A1 Lite, or a budget phone like the Gionee X1s or the Gionee P7 Max, you can purchase the model of your choice without putting a strain on your pocket from within the Bajaj Finserv EMI Network. Here you can buy Gionee smartphones on No Cost EMIs starting from Rs.999 using the EMI Network Card. No Cost EMIs are definitely the best way to shop for any Gionee smartphone, as when it is time to make repayments you don’t have to spend a single rupee beyond the price of the product. In case you do not have a card and want to buy the Gionee A1 Plus on EMI, you can instantly apply for the EMI Network Card online or avail in-store financing from a Bajaj Finserv partner store. You can complete your purchase on the EMI Network by shopping online or offline using a loan of up to Rs.4 lakh. Finding a store of your choice closest to you will also be an easy task as the network partners with more than 60,000 sellers and is spread across 1,300+ cities. Moreover, you can choose to repay via in easy EMIs through a tenor that spans 3 to 24 months as per your convenience. In addition, you can enjoy discounts on MRP and cashbacks too. But first, take a look at how the Gionee A1 Plus and Gionee A1 Lite specifications differ. This will help you make an informed decision. Both these Gionee phones feature a 20MP front camera that allows you to click good quality selfies. Apart from the lens resolution, the Quadra Dinning technology enhances the brightness of the image you click by at least 4 times to make your photos appear life like. Moreover, to make your selfies look like stunning portraits, you can use the bokeh effect and blur the insignificant areas of your image before you click the photo. Also, the Gionee A1 Lite flaunts a 13MP rear camera that has in-built auto focus that is programmed to detect faces. So the camera efficiently ensures that your subject is never out of focus. On the other hand, the Gionee A1 Plus has a dual rear camera of 13MP and 5MP resolution. With its depth of field effect the lenses capture your pictures and portraits with utmost clarity and precision. If you want a diverse photographic experience, then buying Gionee A1 Plus is the right choice for you. The Gionee A1 Lite has a 5.3-inch screen that is capable of projecting everything you see in 1280×720 pixel resolution. On the other hand, the Gionee A1 Plus has a wider 6-inch display, and better resolution of 1920×1080 pixels. It also comes with a 1000:1 contrast ratio that enhances the colour display of your phone. What’s more, the 178-degree wide viewing angle enhances the cinematic quality of the display. Gionee A1 Lite runs on a 3GB RAM and Gionee A1 Plus runs on a 4GB RAM. Gionee A1 Lite is powered by a 1.3GHz 64-bit Octa-Core processor that is fuelled by Android Nougat 7.0 OS. On the other hand, Gionee A1 Plus is powered by a 2.6GHz Octa-Core processor that runs on Android Nougat 7.0 OS. This configuration easily helps you differentiate between the two models as Gionee A1 Plus clearly emerges as the winner as far as horsepower goes. The Gionee A1 Lite comes with a 4000mAh battery that offers a standby time of 400 hours, allowing you to work and talk non-stop without worrying about losing charge. In addition, it has a power-saving mode that trains the battery to consume less energy for all your tasks, especially when the charge falls below the standard capacity. On the other hand, the Gionee A1 Plus comes with a bigger and stronger 4550mAh battery that has a standby time of 510 hours. Compared to Gionee A1 Lite, this phone’s battery is sturdier and is built to last you for more than 24 hours even with heavy usage. In addition, it comes with a power-saving mode as well. Apart from this, the Gionee A1 Plus also has an ultra-fast charging feature. This ensures your phone gets charged to its full capacity within 2 hours. Now, that you have decided which model to pick, you can make your purchase in minutes from the EMI Network. But first, check the pre-approved offer that is up for grabs. Bajaj Finserv offers easy funding through this on the purchase of electronics and products across other categories, as well as on its personal loan, home loan and other financial services. This simplifies the process of applying for financing and helps you save time too. You only need to enter your basic details and you can check your pre-approved offer in seconds. Know What Steve Sorensen Guides While Selecting Tools for Select Staffing? How To Deal With Debris Netting Process?